Porsche Design and KEF are at it again, continuing a rather fruitful partnership, and adding another chic audio product to its range (which is Red Dot Award-winning, no less). 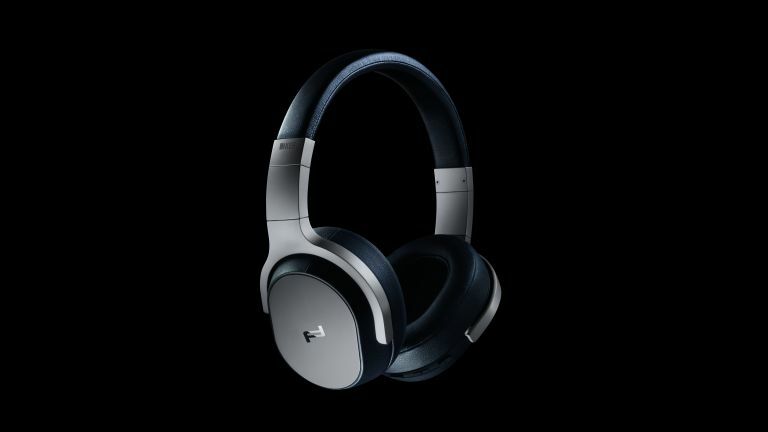 This year, the two brands have collaborated on KEF's Space One wireless, active noise-cancelling headphones. The Space One design is now even more elegant, with a dark, high-gloss inlaid Porsche Design logo placed on the earcup cover. It's certainly a stylish piece. Inside, the headphones combine Bluetooth aptX, 40mm full range drivers, large 20mm neodymium magnets, and a lightweight CCAW voice coil. This all goes to ensure a crisp, spacious and highly dynamic sound. There's also advanced Active Noise Cancelling, which aims to eliminate external noise whist maintaining the hi-fi integrity of recordings for discerning listeners. The battery will last for 30-hours of wireless playback (and thats with ANC turned on). Of course, you can also choose to listen with the supplied wire, on those occasions you forget to charge. Like the sound (and look) of these wireless cans? They can be yours for a very reasonable £349.00.